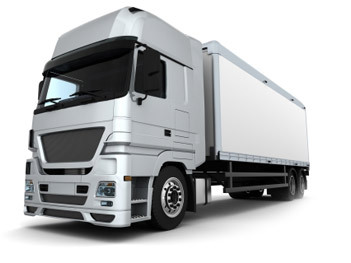 Professional and affordable courses to acquire your HGV / LGV heavy goods vehicle licence. We are only 1.5 hours from Shoreham By Sea, by road or rail. Fully air conditioned classrooms, off road manouvering facilities, a fully equipped training centre in Hastings, East Sussex to cater for every transport training requirement. We are a LGV / HGV Driver Training Centre based in Hastings, East Sussex and offer professional and affordable training courses to acquire your HGV / LGV heavy goods vehicle licence. Click the tabs below to find out more. 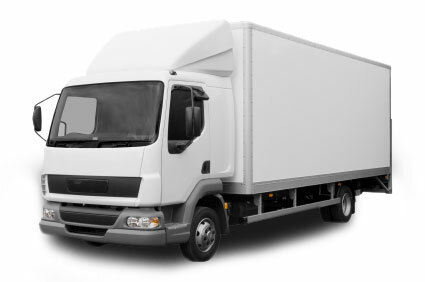 From age 18 years category C1 is for light goods vehicles between 3.5 and 7.5 tonnes. Although LGV licences appear to be staged C1, C, and C+E you can go straight to cat C and get a better licence without having to do C1 first. Paramedic students will require this licence to drive ambulances. All LGV licence holders are now required to hold a current Driver CPC card to continue to drive professionally. Existing Driver CPC card holders will need to complete the next block of 35 hours of periodic training before September 2019. Drive this vehicle from age 18. This category is for any rigid bodied trucks between 7.5 and 32 tonnes, regardless of axles or weight. Standard course is 16 hours 1:1 taken in 4 hour blocks over four days or intensively over two days if you require less time from work. With the National driver shortage exceeding 50,000, jobs are available immediately you have passed the test, we have employers who will use new drivers straight away. All LGV drivers are now required to hold a Driver CPC card to drive professionally. Existing Driver CPC card holders will need to complete the next block of 35 hours of periodic training before September 2019 to continue to drive professionally. Upgrade your category C licence to C+E. No further theory tests required. No restrictions or time delay between passing the C test and C+E. Driver Training Centre use Drawbar vehicles, simply connect the trailer to the truck you gained your category C licence with. This will be 100 multiple choice questions, the pass mark is 85. You will be presented with a series of 19 video or computer generated clips which feature everyday road scenes. In each clip there will be at least one developing hazard, although one of the clips will feature two! To achieve a high score you will need to respond to the developing hazard during the early part of its development. The maximum you can score on each hazard is five. You will not be able to review your answers to the hazard perception test: as on the road, you will only have one chance to respond to the developing hazard. The pass mark for the hazard perception part of the theory test is 67 out of 100. Based on real life scenarios you may encounter in your working life. It aims to test your knowledge and how you put it into practice. You will be asked to answer in a number of different ways, multiple choice, clicking in an area of a photograph/image or by typing in a short answer. This will be made up of 7 case studies, each one with 6 to 8 questions with a maximum score of 50, you must answer 38 correctly. You will be allocated 1½ hours to complete the test. The test starts with a selection of ‘show me tell me’ questions. A reverse exercise from right to left over a predetermined course into a simulated loading bay. The actual on road driving time will be a minimum of 1 hour, to include 15 minutes of independent driving, this will give the examiner time to assess candidates driving in varied traffic conditions over a wide variety of roads. Demonstration of coupling and uncoupling for candidates taking B+E, C+E Tests. On conclusion of the test a full debrief is given. Driver Training Centre can now offer Module 4 Practical Demonstration Tests in-house at our Hastings Training Centre. Ability to load the vehicle with due regard for safety rules and proper vehicle use. Security of the vehicle and contents. Ability to prevent criminality and trafficking of illegal immigrants. Ability to assess emergency situations. Ability to prevent physical risks. Demonstrate your ability with a physical walk round vehicle safety check. Candidates have to score 15 out of a possible 20 points in each topic area (75%) and an overall score of 80%. We now offer Doctors Medicals for licence application at the unbelievable price of £ 50.00! Medicals are held every Wednesday morning at our training centre in Hastings. Click below to view the steps to becoming a qualified driver. Get ‘Starter Pack’ from Driver Training Centre which will include Licence Application forms D2 and D4. Complete Licence Application Form D2, apply for the correct category of provisional licence required. Make an appointment for ‘Doctors Medical’, remember to take form ‘D4’ Send forms D2 and D4 together with drivers licence to: DVLA Swansea, SA99 1BR. If you need to send your passport, you can take the application to the Post Office; who will check the details and give the passport back to you. If you have a digital passport you do not have to send the passport. Please remember to send us copies of any theory test papers as you receive them. To book your course or for more information. Why Choose Us For Your Driver Training? Our modern fleet of vehicles are regularly maintained, comfortable, easy to drive, and make licence acquisition a pleasure. Our fully qualified Instructors will ensure you receive quality tuition for all categories of training. 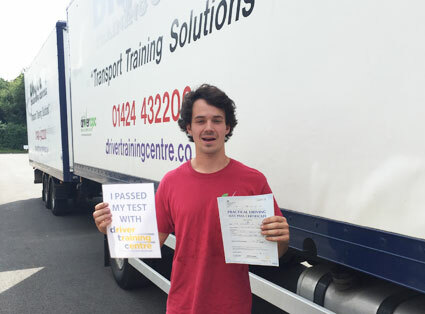 Driver Training Centre is situated next door to the DVSA driving test centre at Hastings and provides easy access for any tests.Driver Training Centre has the resources and experience to deliver our customers requirements. Driver Training Centre offers professional training all over Kent and East Sussex including Hastings, Eastbourne, Battle, Tenterden, Ashford, Brighton, Maidstone, Kent, East & West Sussex, Surrey, St Leonards, Pevensey, Cranbrook, Horsham, Newenden, Croydon, Tonbridge, Tunbridge Wells, Haywards Heath, East Grinstead, Worthing, Shoreham by sea, Bexill, Crawley, Hove, Newhaven, Hythe, Folkstone, Canterbury, Northiam, Staplecross and Westfield.